After the recent launch of the new high speed roller cam rotary table of the manufacturer Haas, in April , I would like to reconsider an old model, the Haas Mini Mill, launched years sooner. 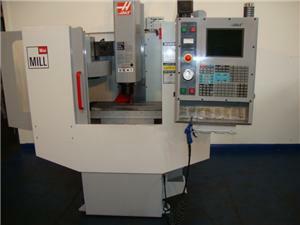 See all Haas Mini Mill for sale! Haas Automation is a manufacturer specializing in machine tools. Based in California, the group produces vertical and horizontal machining centers with digital control as well as lathes, indexers and rotary tables. The groupe is one of the main CNC control developers. For Which Operations Is the Mini Mill Model Suitable for? 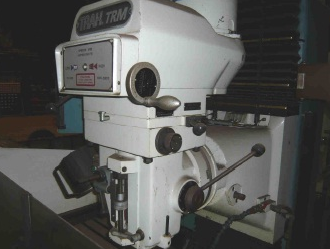 The Mini Mill machine is mostly used for finishing work and cutting aluminium parts. Small operations can be ineffective on a big machine and may even have a negative impact on profits. Thus, this model is also suitable for machining small parts and allows manufacturers to reduce their production costs. The Mini Mill is perfect to start off machining, especially CNC machining, as for trainees in manufacturing or small businesses. Moreover, this kind of machine fits with the extension of a production line or when there is a lack of space or in the case of addition of a second machine.